I’ve seen my mum drinking white wine spritzers since I can remember. We like to take the mick and wind her up about the amount she drinks, but really she doesn’t drink much at all. And when she does drink, it’s usually a white wine spritzer. Not my number one choice, but seems to sort her out a treat! A wine spritzer, in its simplest form is just wine and sparkling water. To an extent, I get it. But I have doubts as well! I drink sparkling water more than still, no idea why, I just think it sorts your thirst out more. Anyone else? Or just me there? In fact I’m half of a mind to see if I can grab a knock down Soda Stream in the sales some point soon. Would save me propping up San Pellegrino’s balance sheet! Wine becomes more of a flavouring than a drink in its own right, which can help in certain circumstances. There’s a grape out here in Italy called Favorita. It’s drinkable and refreshing, but you’re not going to remember it on your death bed or anything like that. It’s got a bit of lemon citrus tang to it, peach and apricot fruits, and a hint of minerality. And it’s cheap as anything going. 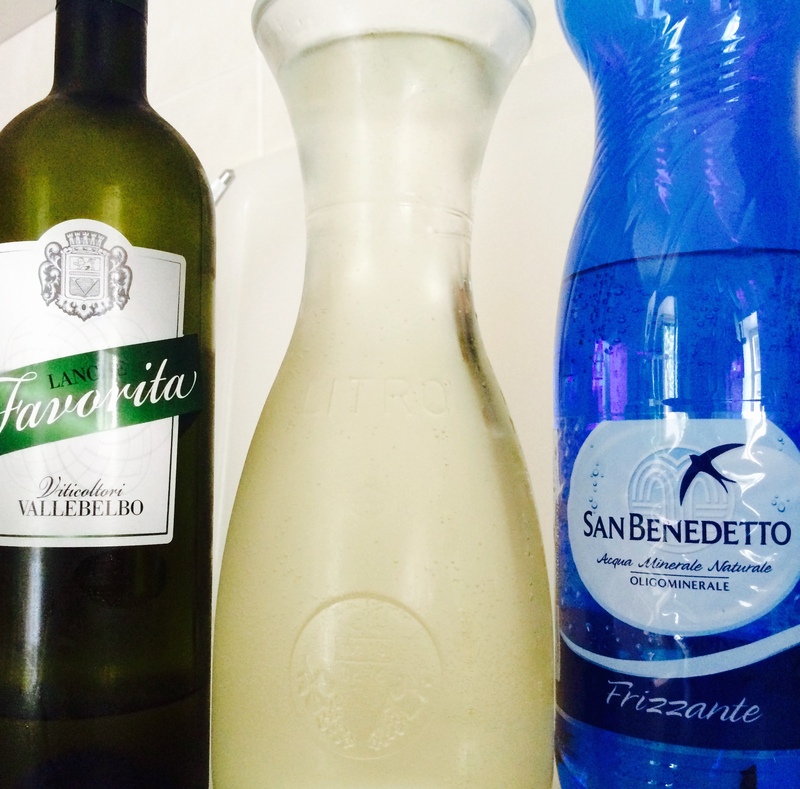 All in all, not a bad one for using for cold and refreshing spritzers. There are also wines that you might not like on their own. A big trend in London these days are sherry cocktails. From what I can work out they’re just Fino Sherry spritzers with lemon peel shoved in for a bit of kick and appearance. And they’re bloody lovely! So maybe it’s helping to convert a few to the joys of Sherry?! So there it is, I’m all for spritzers, and I’m glad they serve a purpose or two. Just don’t go watering down good bottles of wine. They’re perfect as they are, thanks! In my opinion, wine spritzers should be looked at as just another type of soda. Definitely not an acceptable habit for good wines. Ah yeah, I forgot Aperol, that’s making a massive comeback last couple of years! It’s simple. IF you are adding wine to water to make it palatable, this is acceptable as it is improving the very plain water you would otherwise be drinkng. IF you are adding water to wine – this is just unacceptable on every level. So it depends on your starting point. And if water “improves” the wine. … drink better wine. sounds like this “makes cheap wine better” is the running theme!